Annemarie Kendall, a potter, is ecstatic when the armistice is signed ending World War I. Her fiancée Lt. Gilbert Ballard can finally come home to Hot Springs, Arkansas and marry her. If only his letters made it seem like he wanted to. So, Annemarie isn’t surprised, but still hurt, when Gilbert ends their engagement. Now Annemarie has to try and become who God wants her to be and try and save Gilbert while managing to save her heart from his friend. Army Chaplain Samuel Vickary has befriended Gilbert to try and uplift his spirits. When, Gilbert breaks it off with Annemarie, Sam tries to convince him he’s making a mistake but he can’t deny that he feels an attraction for her too. But tormented by his decisions and his mistakes and the memories of war, he doesn’t feel worthy for love by Annemarie or God, let alone grace and he needs Annemarie to show him that he does deserve it. Caught in the middle and confused, Annemarie must make a choice which man she will give her heart to. She also tries to save two men from themselves and it seems like she’s drowning. With Sam and Gilbert’s relationship destroyed over her and her heart broken by Gilbert, all three of them must try and put the war behind them and cling to the only One who can make things okay, God. Who will Annemarie choose? Will Gilbert change his mind about Annemarie or will he never regret his decision to give her up? Will Sam fall in love with Annemarie despite his attempt to not or will his attempt be successful? Will Sam be able to leave his demons behind and trust in God or will he be tormented do the rest of his life? Will Gilbert be able to be a peace with his circumstances or will he become bitter and spiral downhill? 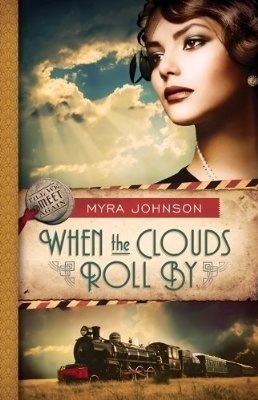 Before this one, I had never read a book by Myra Johnson before and, after reason this book, I’m not sure why. I do know, though, that I loved this book and was surprised at the amount of drama and how emotionally charged it was. I’ve never read a love triangle this dramatic before, shockingly. Myra Johnson definitely captured how I imagine a love triangle would play out. The romance in this book is kind of fast. Though I enjoyed it, there seemed to be something missing, maybe it’s the doubt both of them feel about their feelings or maybe it’s because of the slight lack of deep emotional connections. However, I do think that despite that it was a nice romance and had some very romantic moments that made me go, “aahh”. This romance wasn’t awful or even bad it just wasn’t the best I’ve ever read. This story is very emotionally driven. It’s full of tears, anger, love, pain, and forgiveness. It really got your emotions involved whether it be pity, empathy, love, joy. 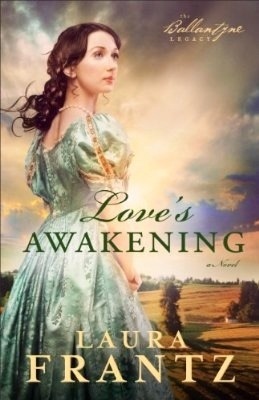 I really had strong feelings towards a few characters in this story and because of that I would love to see Mary and Gilbert again in the next book and hopefully see a resolution to their issues and maybe a romance between them? This story was definitely a heart tugged and engaged me front he beginning. The characters in this story had son real issues to work through during the course of this book. Particularly Sam and Gilbert. Some characters seemed a bit stuff and cardboard-like and had to figure out but the usually weren’t very important to the story and didn’t hurt the story too much. Annemarie’s struggles seemed realistic to me. I mean if I started falling for a guys weeks after I got dumped I question my feelings too. I think the struggles the characters went through were realistic and heart-rending. Myra Johnson definitely made me a fan. Though this book wasn’t perfect, it was enjoyable and I did enjoy this read. In fact I devoured it and didn’t want to put it down. I don’t know how many books this author has but I intend to see if I can get my hands on any of them. I think this author has a great flair for drama and great storytelling abilities. This book comes highly recommended by me. Overall, I loved this book though it did have some hitches. I enjoyed how realistic and gritty it was and watching each character coming to the realization that God loves them just as they are. 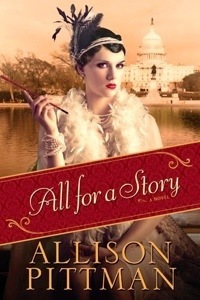 This book is perfect for fans of love triangles, dramas, or WWI novels. This is best left to the adults. I give this book a four out of five. 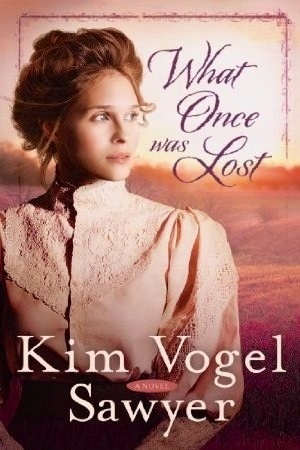 Laura Griffith’s life is altered when her sixteen years old half sister comes to live with her. They clash from the beginning, but when she runs off, Laura is determined to do anything possible to find her. Armed only with a brief note and a referral to Phoenix, Inc. Laura has no idea what she’s gotten herself into or what will happen because of her sister’s rebellion. When James Devlin, a former ATF agent, is hired to find a runaway, he’s not prepared for the attraction he feels for Laura or the cold trail the teen leaves behind. With time of the essence, Dev does his best to find Laura’s sister before she gets into something worse than bad company, but with the trail going cold quickly, his hope is beginning to wane. The deeper Laura and Dev dig, the more their forbidden attraction grows and the more their hope dwindles of finding Laura’s sister in time. However, Dev begins to suspect something sinister is at work with the girl’s disappearance and the more dangerous this man hunt gets. This situation might just be life or death and Dev doesn’t want to make a mistake that costs lives. Not again. Can Laura find her sister before it’s too late or will her sister disappear never to be found again? Can Dev overcome his past and move on or will he forever hold onto his mistakes? What kind of trouble did Laura’s sister get into and will it cost her her life? Will Dev and Laura be able to date after they close the case or will their attraction fall apart under the pressure? Irene Hannon has done it again! Having read almost all of her books, I’ve come to expect a taut suspense with a sweet romance and that’s exactly what I got. This novel is by far my favorite of hers yet and it was something I hadn’t had in a very long time, if ever. 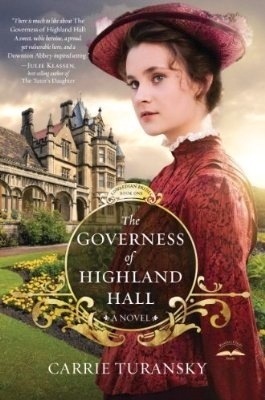 Irene Hannon should be deeply proud of this book and I look forward to her next book on this series. This suspense is in a class all its own. This book brought chills up my spine and was actually pretty creepy. What made it so creepy was how realistic it was and likely it is that this happens, the character that is behind the creepy seems somewhat quirky in public and them is a complete psycho in private. His younger life and his reasons for what he was doing did draw some compassion from me, though. Maybe it was just me, but there were times I just felt sorry for him. It also kept up an amazingly quick pace that actually made me stay up and extra hour just to finish it. I can’t divulge too much or it will ruin it completely but this is easily one of the creepiest books I’ve read in a long time, if ever. The character development was impeccable. I felt each character was realistic in everything and the character that I was most able to feel for was Darcy, the runaway. I could feel her fear, apprehension, and joy like it was my own and that definitely notched up the chill factor of this novel. I also loved how Laura didn’t seem much like fighter until the chips were down. I loved the 180 from the character I thought I knew. The romance was pretty good too. 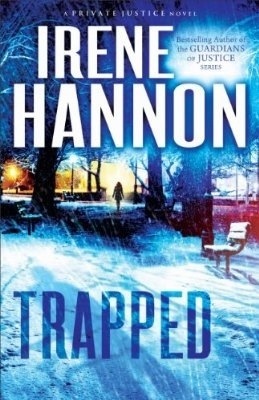 In most cases, one thing or another had to take the backseat to the main story and in Irene Hannon’s case that usually means that the romance is more of a back story the main one and this book was no different and that was a good thing for me. However, I did feel like this romance was more prevalent than some of her other novels and the parts that had romance were amazing. I loved it and I think this author’s getting better with her incorporation skills. Irene Hannon has never ceased to amaze me with what she can come up with and this time is no different. This book was positively none chilling as I can’t wait to see how she’s going to top it in her next one. I’ve always been a fan of hers but with this one she has climbed the ranks and has marked her spot on my list. I love her work and she and this book come very highly recommended. Overall, I loved this book. I have no complaints about the fast and scary pace, the characters or the romance. This book is perfect for people who like a like a little goose bumps with their suspense. This book is best left to the adults, but can be used as a very important message for children and adolescents. I give this book a five out of five. Lieutenant Georgianna Taylor has everything she could’ve dreamed of. She has a boyfriend back home, a loving family, and a challenging job as a flight nurse. Her life is turned upside down when she meets an enlisted man who shows her that she’s more than the baby that doesn’t make decisions for herself. She now must make decisions for herself even the hard ones. Even if it means she must do the opposite of what everyone wants for her. Sergeant John Hutchinson resents the lack of respect he gets as a noncommissioned serviceman and how his career, pharmacology, is portrayed in the military. The war also keeps him from his fiancé and all he wants is to go home and marry her. Until he meets Georgie. Georgie does everything his fiancé doesn’t, she encourages him and trusts him. He tries to fight the attraction, but the more he spends with her and away from his fiancé the more attraction he feels for her. The more time they spend together the more their forbidden attraction grows. And while they share a love of the starry night skies over Sicily, their lives back home are falling apart. Everything seems to be changing around them and life is pulling them apart. But with God and love maybe, just maybe, love with survive loss and a war. Can Georgie learn to make her own decisions or will she continue to let people make decisions for her? Can Hutch find contentment in any area The Lord places him or will he let stubbornness and bitterness control and consume him? Can love weather the storm of life and war or will their love fall apart under the pressure? Will following the Lord’s plan bring them together or farther apart? Sarah Sundin is by far my favorite author of WWII novels. Her ability to create visuals with a few words and get me engrossed in a story from the start is breathtaking. 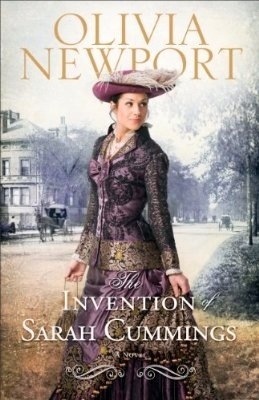 Every time I pick up one her novels I know I’m in for a roller coaster ride and a vibrant glimpse into history. This novel captured me just like the others that I’ve read by her and I absolutely can’t wait for more. The storyline in this book is incredible. It’s intriguing, engaging, and absolutely beautiful. Not only did I feel like I was the character and was celebrating their victories and mourning their failures, but the descriptive writing left me with such detail I feel like I could see the dirt, sweat, and frustration on the faces of each character. It was a completely new experience and I loved it. I can’t wait to experience that again. The romance in this novel is just what I’ve come to expect from this author. I was given the perfect romance. It had the perfect amount of romance and emotional bonding, that I’ve come to expect and love from Sarah Sundin. The struggles they both went through made them stronger and made their love even more sweet and I loved it so much. The part I liked most about the story was the message or lesson on there. It was all about trusting in God to lead you where He wants you whether you’re like Georgie and you are afraid to make a mistake or whether you’re like Hutch and charge ahead without asking what God wants. It was a message I need to hear over and over again because I tend to be like Hutch so to read this book really helped with that. The World War II time frame is one of my favorite time to read about and so I grab as many of them as I can, but the person who does them the best, by far, is Sarah Sundin. Her research is impeccable and her knowledge of time period and the care and morale of the soldiers is astounding and I eat up her books like a chocolate cupcake, very quickly. I absolutely can’t wait for the third book in this series and to see who falls in love next, though I have an idea. Overall, I loved this book. I literally don’t have any complaints about it and thought it was absolutely perfect as is. 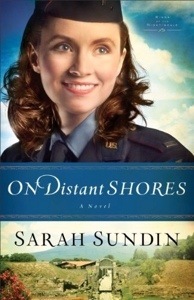 This book is perfect for people like me who love WWII romances and love Sarah Sundin. However, it’s probably best to keep this book out of the hands of your children, teens and younger, and only in yours. I give this book a five out of five.